21st Amendment Down to Earth Session IPA sets its hoppy sights on cans. The 4.4% alcohol by volume (ABV) session-style IPA joins the lineup as we roll into April.. The brewery believes that Down to Earth Session IPA is a natural progression of the bold flavor, low ABV style. For that reason, the brewery is eliminating Bitter American from their lineup. 21st Amendment Down To Earth Session IPA is now available in 12oz cans and draft, year-round. 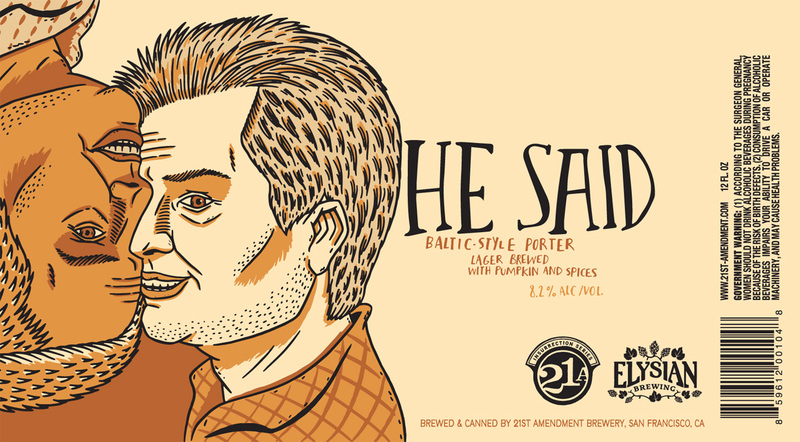 21st Amendment Brewery will start distributing to Chicago, Illinois starting April 1st, 2015. Three year round offerings in both cans and draft will be available, including Back in Black IPA, Brew Free Or Die IPA, and Down to Earth, a session IPA. Seasonals will include Hell or High Watermelon Wheat, and Fireside Chat. Recently, 21st Amendment completed a $21 million dollar brewery and capacity expansion. 21st Amendment Fireside Chat is back on shelves. The base beer is a winter warmer/ strong ale, brewed with spices that change for each release. 21st Amendment intends Fireside Chat to a nice compliment to seasonal foods, and of course, on it’s own. 21st Amendment and Elysian Brewing have two different collaborations coming out in cans soon. Both collaborations are called He Said and have similar artwork, but the insides are stylistically different. One is a Belgian style tripel with pumpkin and spices. The second is actually a Baltic porter, lager brewed (that’s a departure from how it is actually brewed) with pumpkin and spices. Two different imaginative, pumpkin-y takes on some old school styles. A new can is in the works. A new collaboration between 21st Amendment (San Francisco) and Elysian (Seattle, WA). 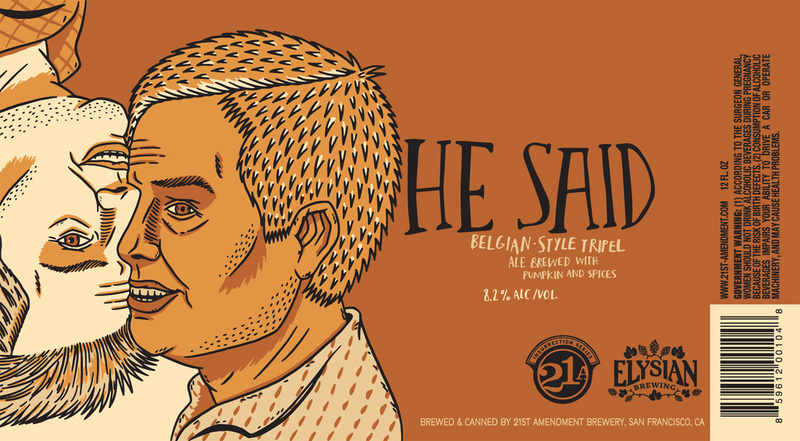 He Said is a new spin on a Belgian style tripel with the addition of pumpkin. After doing a little research, you’d be hard pressed to find one like this. This is actually 1 of 2 in a series of collaborations between the west coast breweries. The latter is a Baltic porter. 21st Amendment will can this 8.2% ABV offering. Try tailgating all day with this one.